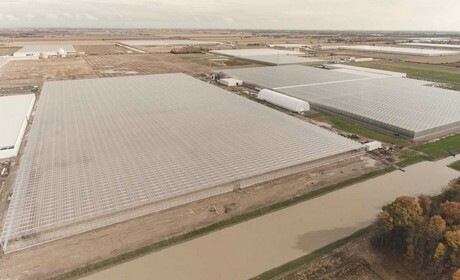 Consumer demand for organic and locally-grown produce has inspired NatureFresh Farms to expand on their organic greenhouse offerings at their Ontario facility. The company is not only significantly expanding their organic acreage in Canada, but also adding a number of items to their organic list. The expansion will mean organic produce will be grown in their Canadian greenhouse for nine months of the year. "NatureFresh Farms is now in the fourth year of its Canadian organic bell pepper operations," shared Ray Wowryk of NatureFresh Farms. "It's going to be a very exciting year this year as we have doubled our organic production to meet the increased demand for organic produce. This will bring our organic pepper acreage in Leamington to 30 acres and means we will be in the market in Canada from the end of March through to December." "Additional expansion will take place over the next 12 - 18 months and we are also looking to include other commodities including more tomato varieties," he continued. "Presently, we offer long English cucumbers, snacking tomatoes and TOVs, as well as mini peppers and mini cucumbers in organic. 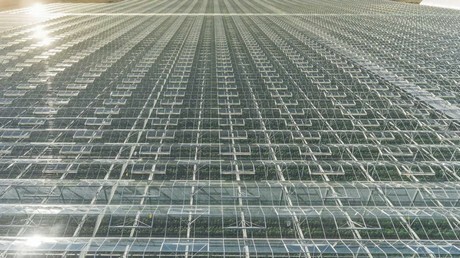 In partnership with a Dutch company - Van der Knaap Groep - we have developed a unique cultivation system for growing organically at our Leamington facility. This has helped propel us to continue our growth." One of the areas where NatureFresh Farms has noticed growth in is locally-grown. This is one of the reasons for the company's decision to expand on their organic offerings in Canada. According to Wowryk, it will give Canadian consumers a greater opportunity to purchase organic and locally-grown produce. "We are seeing excellent growth in the category and our expansion will enable us to offer locally-grown vegetables for consumers," he said. "Many of them are concerned about food miles and are increasingly expressing their preference for locally-grown food. Our goal is to continue to grow our local production both in Canada and also in our Ohio facility for the US market." For NatureFresh Farms, growing organically goes hand-in-hand with sustainability. The reduction of food miles stemming from more locally-grown produce in their greenhouses goes part way to meeting their goal. The company is also looking at packaging and seeing where they can reduce the use of plastic - and they have already launched one new compostable pack. "In addition to growing organically and locally, we are also focused on sustainability," Wowryk explained. "Our goal is to reduce plastic and styrofoam use and so we are constantly working with our suppliers to introduce recyclable packaging. We recently introduced a compostable tray for our mini cucumbers. 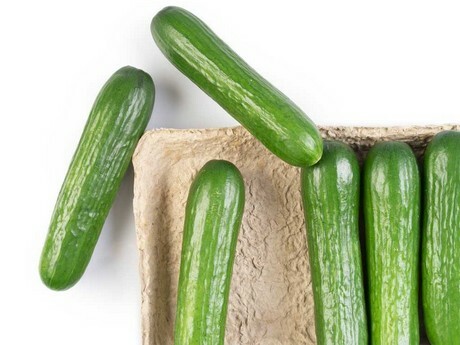 This package is made out of recycled cardboard and is used for both our conventional and organic mini cucumbers at a major retailer." Wowryk concluded by emphasizing that NatureFresh Farms is looking forward to the next few years of organic category growth. The company is celebrating their 20th anniversary this year, which Wowryk said provides an opportunity to review what has been done as a company and have a view to the future as well. "NatureFresh Farms is excited to continue in its entrepreneurship by celebrating our journey and focusing on our expansions," he shared. "We can look back on where we came from and where we are going now to see just how far we have come."